Have a jolly time this Valentine's Day with some non cliche date ideas. Dinner & a movie. How thrilling. NOT! This year we're doing something else. Let's try something new, create a challenge for ourselves. 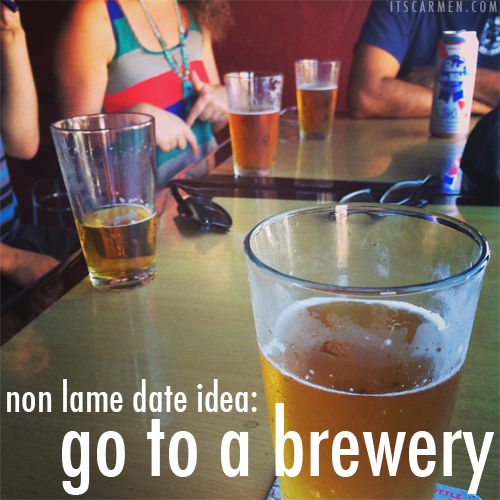 Think outside the box with these rad date ideas. 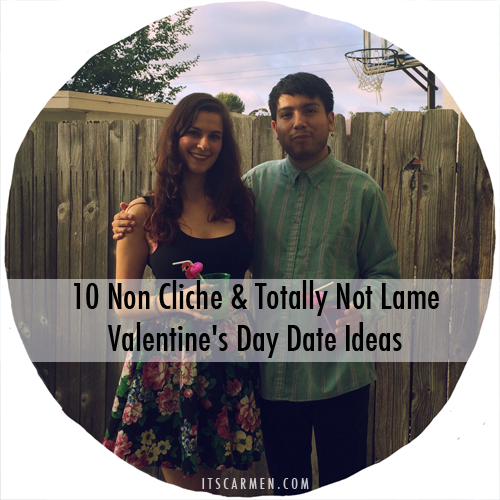 You can mix & match these totally not lame Valentine's Day date ideas to create a richer experience. Let's do this! * This post may contain affiliate links. I included links to some items I like & if you make a purchase, I make a small commission, at no extra cost to you. Thanks for your support! If you're single: it's okay to be bitter on Valentine's Day because it's all a bit excessive -- the abundance of pink & crappy chocolates. But don't let it get you down. Valentine's Day doesn't make anybody love anybody any more. Love is good 365 days a year. You don't need a lover to go on a date by the way. I have friend dates all the time -- dinner, drinks, a movie -- & it's fabulous. Get your gals or guys together & let live. If you're in a relationship: Take your sweetie pie on a really awesome adventure. Don't go to a terribly cliche & overpacked restaurant for dinner. The sheer mass of people who go to restaurants on Valentine's Day was off-putting enough for me to create this post. Time for a change. 1. Build a blanket fort - This will literally impress any human being with a soul. Bring out your inner child & reminisce about how carefree life used to be by building a blanket fort with your boo. You can't go wrong. 2. Exchange mix CDs - This used to be cliche, but nobody uses CDs anymore, so this is now uncliche. Weird how the times have changed, right? Create your own Valentine's Day lovelist or just copy mine. Music is wonderful because you can tailor songs to suit the individual. Follow up the CD with a nice homemade dinner. 3. Go to a brewery - Yes, this really is on the list. I am obsessed with breweries. I go all the time with my boyfriend as well as other friends. It's a fun environment without the annoying club/bar atmosphere. Support your local breweries. 4. Make a simple dinner - Grilled cheese. Spaghetti. Tacos. Restaurants are incredibly busy (& cliche) on Valentine's Day. I used to be a server & I know how hectic it can get. Who wants to wait 60 minutes for a table? Not me, especially when I'm (hangry) hungry. When you think about Valentine's Day dinner you don't think "let's do burritos." That's exactly what I'm going for. 5. Host a Palentine's Day party - Palentine's Day. The day to show how much you love your pals. Ask the girls (or guys) to come over & bask in the glory of friendship. Eat, drink, & be merry. Together. These Galentine's Day decorations are adorable. 6. Give a massage - Okay, this is kind of cliche but it's divine nonetheless. A massage is the perfect way to show your date you care about them. Grab some massage oil (the Carribean Rose Love Oil from Good Clean Love is HEAVENLY!) & ask if they have any stress spots that need attention. 7. Take a hike - Get out of the house & go for a walk somewhere pretty. While most people are waiting for a table at a restaurant, you are free to enjoy the beauty of nature. Head to a park or a high peak & stroll hand in hand with your cutie. Feel the brisk air on your cheeks. Doesn't it make you feel alive? 8. Rent a horror film - Or an action movie. Just don't watch a chick flick. Don't do it. How cliche is that? A romance film on Valentine's Day?!! Who would have thought? Take it upon yourself to rent something out of character & interesting. In fact, a horror movie is even more of an excuse to cuddle. Hehe. You clever minx you. Go for Stephen King's It, The Shining, or maybe Texas Chainsaw Massacre. 9. Heart shaped pizza - A heart-shaped pizza is every girl or boy's dream. Do it. They will not be let down. **please read this, babe** They even have heart-shaped pizza pans so you can make it at home. 10. Attend a comedy show - One time my boyfriend took me downtown & we had a blast at a comedy show. It was jovial & hilarious & best of all, different. We had a happy time together. What more can you ask for? Laughter is the best medicine, & perhaps the best gift. Great suggestions! Not sure which I'm leaning towards! So this place by my house sells heart shaped pizzas for Valentine's day but they sell them from the 12th thru the 14th (or 15th?) or something like that. But my boyfriend doesn't get off work til like 9, so on Thursday I'm just going to order a heart shaped pizza for me and my sister because I really want to eat one lol. Love all of these ideas! They are not cliche and you could have a lot of fun doing these! I also think going on a late night drive stopping somewhere random and just talking is a fun idea, especially if you have somewhere with a lovely view! These great ideas! Brewery & heart shape pizza sound like a good idea to me! Oh and the hike, too. Walk off all of those carbs. Haha. MAYBE we'll bring the pizza to the park for a picnic! You really inspired me. Thanks! Those were some really great ideas for the Valentine's day, I deifnitely got inspired and will surely try out some of them even for a regular date! 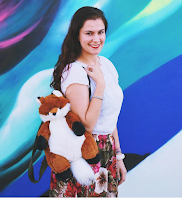 Such a great post Carmen! Very cool list! I'd love to go for a hike (if that was an option in the city haha) and would also enjoy a nice mix CD. Actually Tomas and I still make mixed CDs from time to time. In many ways, I haven't really caught up with technology. Valentine's Day isn't really celebrated here, but I still like to acknowledge that the the holiday exists. For the past two years I've made a special dinner at home for the two of us. Maybe this year since it's on a Saturday we can actually do something else! both me and my husband have agreed that a fancy restaurant is out of question. We still don't have a plan, maybe it's best not to plan...I was thinking of preparing a nice meal at home but last year our romantic dinner was crashed by some not very romantic friends:) but at least my table decorations were up to the level. I remember one year we went to a nature park and that was great...I prepared some heart shaped potatoes for lunch that day and he really liked that. so, I think that a nice walk would be my fav option from these ideas...let's get out in the open! I'm having a Galentine's Day Dinner for Valentine's Day for me and all my single girlfriends! Some great ideas - I would definitely go for the comedy show! The take a hike option could definitely be combined with a picnic where heart shaped pizza is served!! I AM GENIUS. We always make a simple dinner on Valentines Day and I love it. It normally is just a panini, simple but so good! Massage would be amazing! lol Hiking is actually a good idea too, would be nice, if only our mountains are not covered with snow right now. These are all such great ideas, and by complete coincidence, Karl and I actually have tickets to a comedy show for valentines! I hate how hyped and cliche-laden that day can be, so I'm all about taking it easy and having fun! I love the hiking idea! 100% agree with watching a horror movie! I used to that back when I was a miserable single person. Haha! Love this post and the suggestion to take a hike is really good too. Loved this!! There's nothing better than a good blanket fort. Combine it with a 'black-out night' (ie. no checking phones and hiding behind laptops) and you have yourself a perfect weekend right there! I'm a bit Anti-Valentines, and I think going for an overpriced meal is basically over-rated. Therefore I am loving these ideas, but it's No.1 that I'd pick. I used to love building a fort when I was a kid, and my boyfriend is pretty much a big kid, so it would be loads of fun. Not to mention it would be quite snuggly. I know it's way past Valentine's day now but I love this post! Your ideas are great :) I hope you had a lovely Valentine's day.